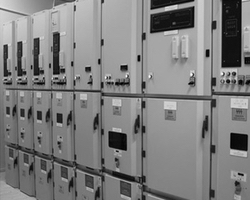 LiveWire Supply is one of the industries leading experts in Switchgear supply. We have a team of highly qualified electrical experts that can rapidly turn project quotes with cost effective options to meet your deadlines. We can expedite the delivery of your switchgear for immediate and emergency needs, when your project has a pressing schedule. LiveWire Supply is not an authorized distributor or representative for any of the listed Manufacturers. We provide seasoned project management to drive logistics and on time delivery of your materials, liaising with you and the factory to ensure every milestone is met. 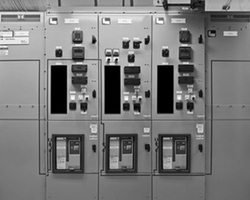 Many companies and organizations trust LiveWire Supply for their Switchgear needs. We take your blueprints and specifications and build an estimate to meet your electrical requirements. We supply custom Switchgear to a number of Amazon Fulfillment Centers, Schools and Military Buildings. "I have had the pleasure of working with LiveWire Supply for 10+ years. I have purchased panelboards and switchboards up to 4000 amps and LiveWire has always been very competitive. They are terrific at turning around quotes and then following up on orders to ensure that I receive the correct parts on schedule. I have recommended LiveWire many times over the years and will continue to do so in the future. They always have what I need in stock.